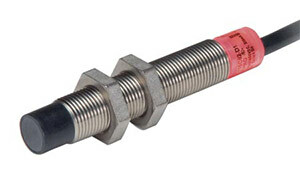 The Cutler-Hammer® iProx Series represents the highest performance, most versatile tubular inductive sensor offered by Omega. By utilizing an embedded microprocessor and exclusive SmartSense technology, iProx can sense up to three times farther than typical sensors of its class. Both shielded and unshielded versions of iProx feature extended sensing ranges. This allows the sensor to be mounted farther from the target, thereby reducing the potential for target impacts and increasing the sensing reliability of your application. With extended sensing range, quality construction and very high noise immunity, iProx is the ideal choice for even the most demanding inductive sensing applications.